3 years ago in Puppycide police shooting school shooting children cops shooting dogs ~ read. Of all of the trends that we have uncovered in our forth coming research paper in which we reviewed some 1,400 shootings of dogs by police one stands out as the most shocking. Of those 1,400 shootings of dogs by police, 1 in 5 involved children either in the line of fire or the immediate area when police began shooting. The use of firearms, either to defend children being attacked by dogs or - much more commonly - to kill dogs that belong to families that include children, is difficult to understand given the extraordinary risk of death that children face from the use of gunshot wounds. In the last week alone - November 20th through November 27th 2015 - in at least two separate incidents police officers opened fire inside of a school in order to kill a dog. These incidents occurred at Montevideo Middle School in Minnesota on 11-20 and Sacajawea Junior High School in Lewiston, Idaho on 11-23. During both incidents the animals involved caused no serious injury to students or staff and the entire school was forced into an emergency lockdown. At Sacajawea Junior High School, the dog who caused the crisis was apparently well known to a number of the students at the school - so well known that the dog's shooting resulted in a protest march in his honor just days after the shooting. Police claimed they shot the dog at Sacajawea Junior High only after the dog failed to respond to verbal commands. The dog, Mister Chang, is deaf (he survived, but lost a leg). For good reason, the use of firearms within schools has represented the most extreme form of violence imaginable to the American public. Few events are as nightmarish to parents as the idea of a stranger firing a gun at their child's school. It is difficult to imagine many parents being more parents being scared of a dog than a school shooting. 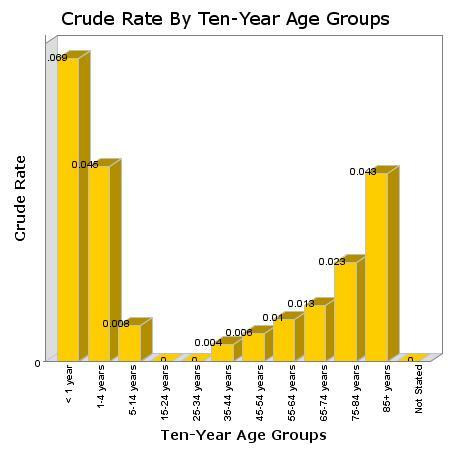 While Puppycide Database Project's own research on canine-related injury fatalities shows that age plays a role in determining mortality, we found that only infants under the age of 4 and elderly individuals over the age of 75 have even a slight risk of death from injuries from dogs. The children at Montevideo Middle School and Sacajawea Junior High School fall into an age group (5-14 year olds) with an infinitesimal risk of death from dogs. Children in this group are at the same risk as adults aged 45-64, which is to say the risk involved is statistically equivalent to zero. Although children will almost always survive bites from dogs, the same cannot be said for gunshot wounds. Police officers regularly shoot human beings during "puppycides": mostly as the unintentionally. When we reviewed all of the cases in our database in which police shot human beings, we found that children under the age of 18 were the most likely to die from the wounds they received from police. Shooting dogs with children nearby puts those children at immense risk - much more risk than is posed by even violent dogs. Given the reckless nature of using firearms when children are in the line of fire or the immediate area, it is only under the most extraordinary circumstances that such behavior can be rationalized. The threat of a dog bite wound - even a serious one - does not provide that extraordinary justification.